I’ve been using gEdit (the default text editor in Ubuntu) to do some Ruby and Ruby on Rails programming the last few weeks. I was using the RadRails plugin for Eclipse but for some reason my computer slows down considerably when using Eclipse. The thing is, gEdit comes with a couple of nice color themes by default but the darker Oblivion theme wasn’t quite to my liking. 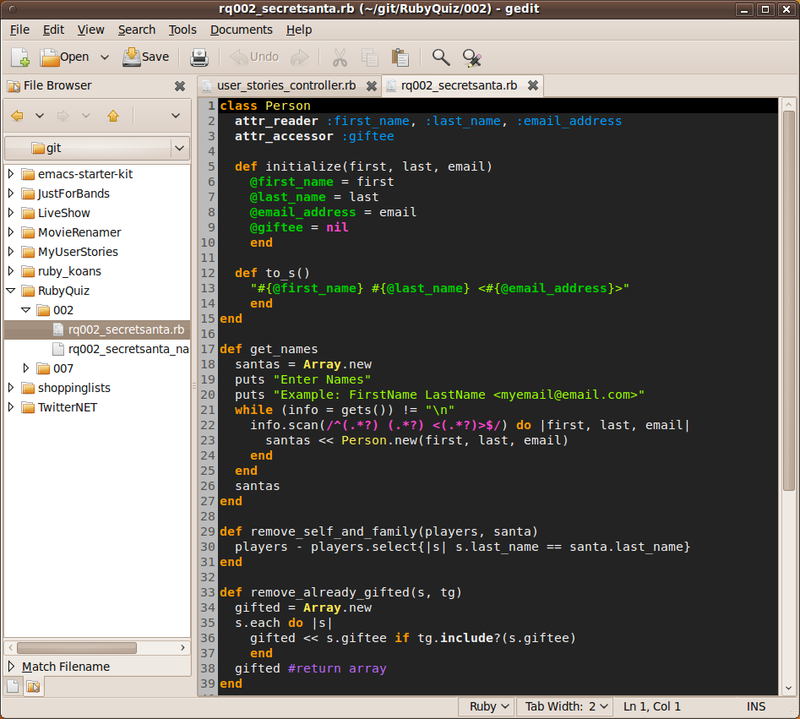 So I a quick Google search later and I found a repository on GitHub that contains several nice gEdit color themes. I’ve currently settled on the DarkMate them (see screenshot below). So if you’re looking for some nice gEdit color themes, check out mig’s repository. This entry was posted in programming, Technology and tagged gedit, Linux, ruby, ruby on rails. Bookmark the permalink.